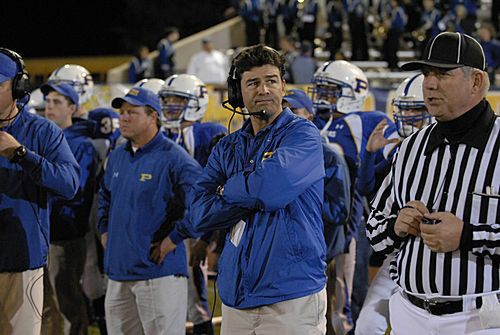 Coach Taylor. Coach Taylor in Game of the Week. Wallpaper and background images in the Friday Night Lights club tagged: friday night lights image still 3x09 game of the week season 3 coach eric taylor kyle chandler. This Friday Night Lights photo might contain hekje and wicket.